This week has been challenging! I feel like I am going through some kind of change that I can’t quite put my finger on. So, I’ve chosen to just be present to these feelings of frustration and uncertainty, knowing that I’ll soon figure out what they are all about. After last week’s post on creating space for myself, I was introduced by my awesome friend Brodie to this beautiful Italian phrase ‘il dolce far niente‘ (which means ‘the sweetness of doing nothing’) and I’ve tried really hard this last week to find opportunities to doing sweet nothing! 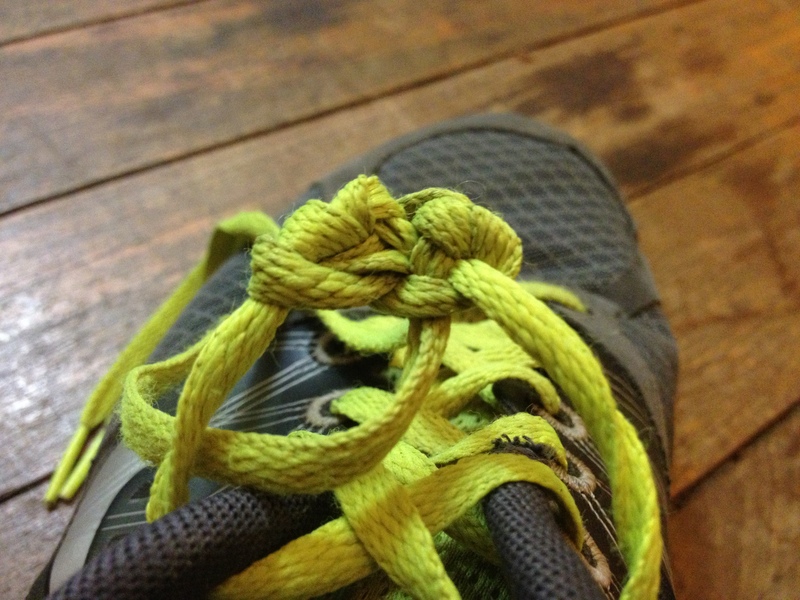 Halfway through the week I had a very frustrating moment trying to undo a knot in one of my shoelaces. I couldn’t help but notice the similarities to my struggles to unwind. For me, sometimes its really hard to relax. Sometimes my psychology is like that shoelace; all knotted up. However as I gradually and patiently unravel one area of the knot the others become easier to unwind. And so, that’s how it’s been for me this week. 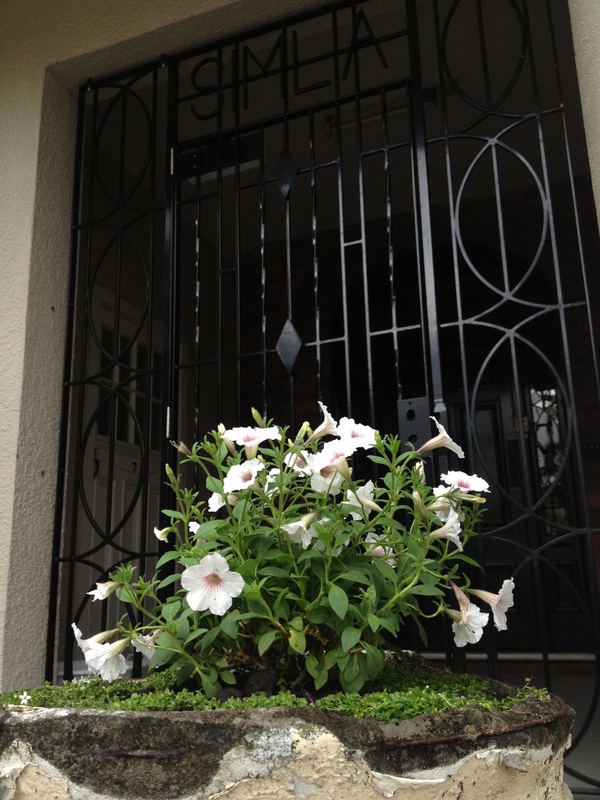 I had an incredibly relaxing evening on Wednesday night doing sweet nothing at my favourite Korean Baths and then finally unravelled the knot on Saturday by reconnecting with one of my long-lost passions, gardening. In between all of the unknotting the general theme of my week has been criticism. One particular experience that I’ll share has taught me a very valuable lesson on how to handle criticism like a champion. One of our volunteers at work Michael, took the initiative of contacting all of the local design universities and colleges to discuss opportunities for introducing the Asia Pacific Design Library to students. A few weeks ago, I was invited by a librarian from one of the local design colleges to present to the new students about the APDL. I agreed, as this is something I’ve been wanting to do for a long time and I’m passionate about promoting what we do and engaging with students. On Thursday after some back and forth with the librarian I eventually made it out to present to the students. I arrived at about 1:00pm after spending the morning busily preparing my presentation and some notes. I was happy with how the presentation had turned out and I was quite excited about getting out there and meeting the students. I’d been booked in to present to three separate groups of students back to back over the course of an hour or so. My aim was to inspire the students to recognise the value of design and their role in using their design education to benefit society. I also wanted to emphasise that as a government-funded initiative the APDL belongs to them and encourage them to make it their own. And I went on to tell the quick version of my serendipity story. Before I knew it I’d delivered the three presentations and I was on my way back to work. In the taxi back to the library I reflected on the presentations. I was pretty happy with how I went. It was my first public speaking engagement for the year and although it took me a little while to get warmed up, by the time I spoke to the third group of students I felt like I was speaking with passion and connecting with a number of them as I spoke. The next morning however I received a surprising email in my inbox, thanking me for my visit and then going on to offer some “constructive feedback” for my consideration. As I began to scroll down I noticed a whole page of notes on how I should improve the presentation in the future and comments on how certain parts of the presentation weren’t relevent to the audience. It seemed quite critical! I was shocked! In fact I allowed this email to really upset me. I mean, I’d put a lot of valuable time and effort into that presentation, I’d gone out of my way to give up half a day to go and visit the students and I wasn’t looking for anything in return and this is how they repaid me?! I didn’t deserve this criticism (I thought)! I’ll be honest. It’s not very often that I receive this kind of constructive criticism. People tend to say nice things to me and tell me what they think I want to hear. Even as a child I grew up receiving a lot of praise at school (“a pleasure to teach”, “gifted and talented” etc.). Dealing with constructive criticism is not something I’ve had to do often and therefore something I’m particularly strong at. What can I learn from criticism? With a little bit of perspective I decided to go back and read the email again. In my haste I hadn’t read the whole thing and I noticed that the very last comment in the email explained a lot about the tone. It seemed that my comments at the start of my presentation about “not being ashamed to say I’m not a librarian” had made my librarian host feel uncomfortable and this disappointment was conveyed quite strongly (!) through the email. Ah! It all made sense. My *icebreaker comment intended to convey to the students that a career in design could take them anywhere (they could even end up managing a library!) had been misinterpreted as an insult toward librarians! This was never my intention but it helped me to understand the tone of the criticism within the email. I’d learnt to identify the emotion behind the criticism. I’d unintentionally offended my host, but it’s no big deal because now I can simply apologise and explain what I really meant and hopefully move on. With the emotion and negative tone out of the picture I was left with a whole list of very useful points of feedback to consider. Some of it was false criticism (to be ignored) while other points were very useful (such as the fact that I went over time and didn’t make it clear enough how the college could actively participate in our programs). All of this feedback is really valuable to me because I will be doing a lot more of these presentations to other uni’s and colleges over the next few weeks and so I can refine the presentation and make it even more awesome! The truth is, I knew I had done a pretty good job with the presentations. I ran into a number of students later visiting the APDL as a result of my talk and one of them also posted a really kind comment about my presentation on Instagram. I’d done pretty well. But if I hadn’t unintentionally offended the librarian, would I have received all of that valuable, constructive criticism? Probably not. Can you recall a time in your life when you’ve been given criticism but missed out on the learning opportunity because of the tone / emotion of how it was delivered? Conversely, has there been a time where you have denied yourself and taken on someone else’s false criticism of your behaviour? What is it about your behaviour or attitudes that makes it difficult for people to give you constructive criticism, without you being offended? It’s important to recognise that if we truly know who we are, our boundaries, our strengths and our weaknesses, we can make clear judgements on what is true and what is not true when we are criticised. My challenge for all of us in the week ahead is to seek out opportunities for criticism and feedback, recognising that this is a powerful vehicle for growth and self-improvement. I wish you all a week full of juicy but supportive criticism, helping you to become more awesome! Please share your experiences and thoughts on criticism below. Christian. Thank you so much for this week’s topic. The 7 points you gave are so useful (i might stick them on the wall…) Criticism is a tough one and I find it particularly hard being centered enough in reflection to separate false criticism from opportunities to learn! 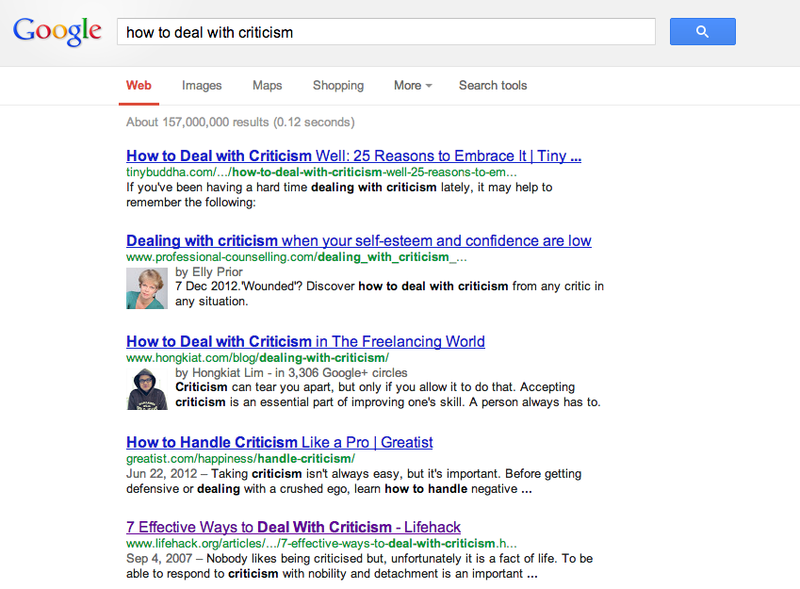 For me criticism is Kryptonite. I have in the past become so embroiled in the act of the criticism and the person delivering the criticism that I fail to learn from the criticism itself. Interesting. In the end for me it was about finding a place where I understood that I am imperfect (but perfect in that imperfection) but knowing that there is always room for growth. A lesson in everyone. Keep being awesome my friend! Thanks B! Ha ha, I love thinking of criticism as kryptonite. So true! There are so many other areas of life like this that can either be crippling or empowering depending on the meaning we CHOOSE to give them. I can feel a post around choice coming up!